My work will be on for a couple more days at Deptford Does Art. It comes down at 6pm on Sunday 1st. Please pop by if you can. So, such a long time since the last update. Two exciting things at the moment! I've got a show opening on Wednesday 13th May at Putney Library, round the corner from Putney Station, it will run until the 31st May. The show will be a selection of new work and a few older pieces. Please check opening hours as the library is closed certain weekdays. 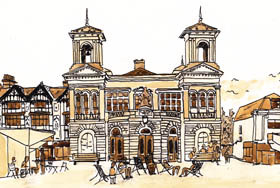 I'm also starting some urban sketching lessons with Hanna Lee in Kingston Market House. Classes will be bi-weekly from 10.30 to 12.30 and cost £25. Please email me with any questions about the classes or pop into the shop on the ground floor of the Market House. Some very good news! 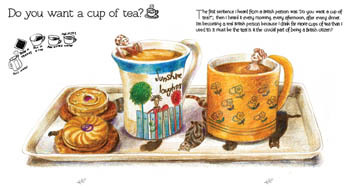 I'm launching a new book, 'Tea and Pineapple Cake', which I've made with my friend Sue Zheng. 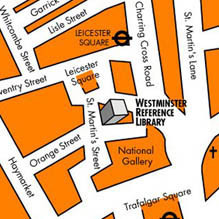 Please come down to Westminster Reference Library, just off Leicester Square, from 6 till 8 on Thursday 3rd July to see me and and Sue and check the book out. 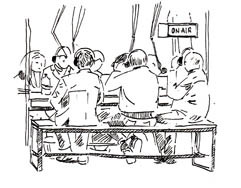 I was really excited to be interviewed on the Eastcast Radio show recently. Please follow the link for the recording. 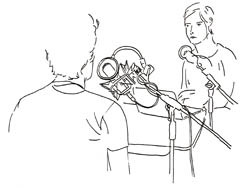 I also sketched the guys during the show, you can see the pic on their site. So, such a long time with no updates! I'm currently living in Limehouse, which has been a great opportunity to get lots of inspiration from a new area and find lots of good things to draw. These pics are from a community radio show in Chrisp Street Market, Poplar. Hoping to have an exhibition soon, so will update this as soon as I find out. 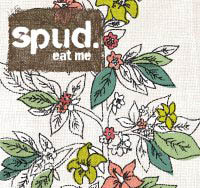 I'm really pleased to announce I've got some of my prints on display in Spud in Covent Garden. There are some on the ground floor and some downstairs. It's a great place to get a jacket potato too!! 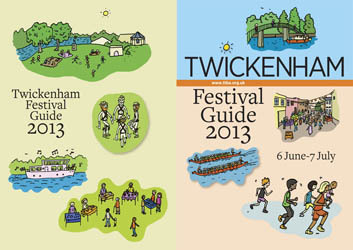 I recently created some illustrations for the Twickenham Festival brochure. Was great to produce some images of my local area! 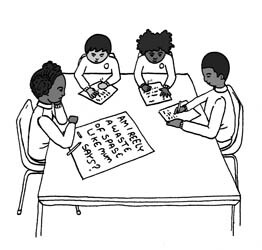 Before Christmas I illustrated a book called 'Will You be The One', by teacher Tracey Campbell, which looks at ways to help disruptive children. It's now been released and is available to buy on Amazon. 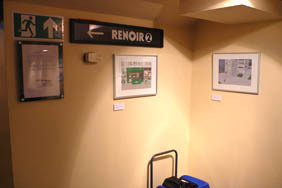 So, my show is still up at the Renoir cinema. 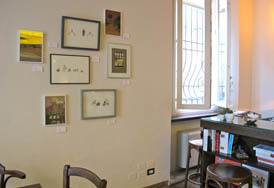 I'm also pleased to announce my pictures are now also on display in Novecento cafe in Faenza, Italy! Following a week at Curzon Soho, my show has now moved to the Renoir Cinema in Bloomsbury and will be up for at least two weeks from now. 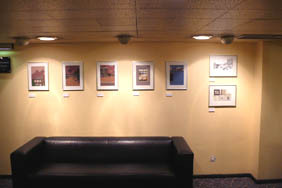 The work is on display in the bar and the foyer downstairs. It's a lovely area round there, with Coram's Fields park over the road and some great bookshops nearby. I recently found out that I'm going to have the chance to display my work at two Curzon Cinemas venues! 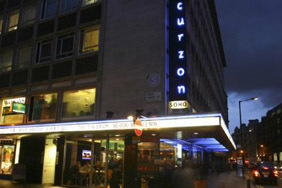 The first will be the Curzon Soho from 8th to 19th September. 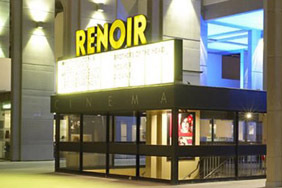 The show will then move on to the Renoir cinema, dates for this site to be confirmed. Please check the Curzon website for more information on the venues and opening hours. I'm putting three prints in the Heatham House Summer Exhibition, it's number 43 on the interactive map. 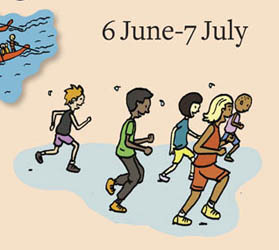 It will be open on Sat 23 June, Sun 24 June and then Sat 30 June, sun 1 July, 11 AM till 6 PM. Heatham House is an interesting 18th century building which has been used as a youth club since the 1950s. I'm excited to announce a new show at Westminster Reference Library, starting on the 19th April and running up to and including the 28th. The library is open from 10am until 8pm during the week and 10am till 5pm on Saturday (closed Sunday). Come along if you can! So, a new year and now a new show!! Some of my pictures will be on display as part of an exhibition by THE CURRENT SHOW at the Rossini Art Cafe in Faenza, Italy. Great to have some pictures up in a new country! I just found out my work's being featured on the Transpontine blog. They are a blogzine which looks at “things that are happening, things that happened, things that should never have happened. New Cross, Brockley, Deptford and other beauty spots.”. Check their page to find out more! Just a quick post to say the last manga session went well. 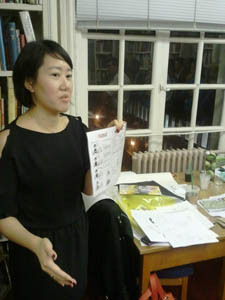 We were joined by Zarina Liew, who gave a talk about her work. 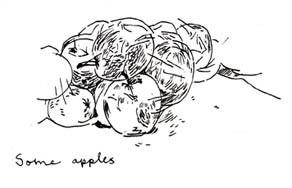 Please visit Zarina's website, Cobalt Cafe, to see more of her brilliant drawings. Last Thursday I did another workshop on comics and narratives and Westminster Reference Library with Declan Talbert. 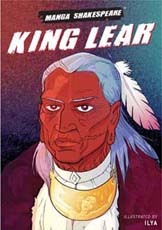 We were joined by manga and comic creator ILYA who has illustrated the manga version of King Lear and also recently published a book The Clay Dreaming. Was a fun session! We're having one more this coming Thursday 13th October. I've been given the opportunity to feature some of my work in the Hugo Mumbles online art gallery. 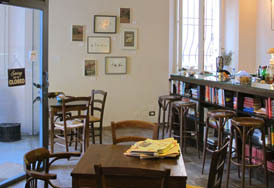 They sell prints, paintings and sculptures by a range of artists, and have them grouped by the different rooms in a house. Well worth a look! This weekend and the next I'm going to have a new painting on display at Heatham House youth club as part of their ARThouse open studios exhibition. It's the first time in ages I've worked on such a large scale and was really fun to do. Come down and check it out if you're in SW London. So, I've created a print for the organisation Art Blossom Japan. This is another charity set up to help those affected by the disasters in Japan. They have lots of prints for sale by Japan influenced artists, with all proceeds donated to the relief effort. A great chance to pick up some unusual limited edition prints! I've donated a copy of my Drive Back print to the Art for Japan market in East London this Sunday. It's a charity fundraising event to help survivors of the earthquake and tsunami. You can find out more about it at their blog. Please pop down if you're in town that day, it should be really good! 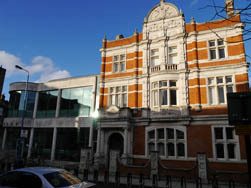 I've had some great news, I'm going to be able to put a show on at the reference library where I did my first workshop. It's a short walk from Trafalgar Square or Leicester Square and they have a really good collection of art books on the second and third floors. The show will run from Tuesday 5 April until Wednesday 13 April and the library is normally open until 8pm on weekdays. Check it out if you're in the area! I just wanted to post up a link to the event at the library. It's a great chance to see comic expert Paul Gravett and comic creator Ilya give a talk about the medium. Come down for a free evening of comic and illustration events!! I'm going to be running a short drawing workshop as part of an event at Westminster Reference Library on Friday 25 March. 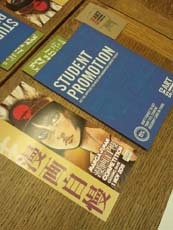 The event will look at graphic novels and illustration and feature talks by some high profile comic artists and critics. The workshops will also be held at Pimlico and Paddington libraries at some point in the future. I'll add more information as soon as things are confirmed. There are some of my prints on display at an open house show in Brighton. 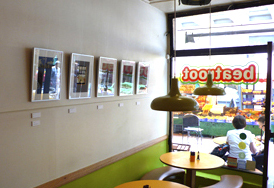 My work can be seen in The Cowshed, 63a Montpelier Road, Brighton BN1 3BB. I've got a range of my street scenes as well as some copies of my comic strips on display. You can find some information about Brighton Open House here. 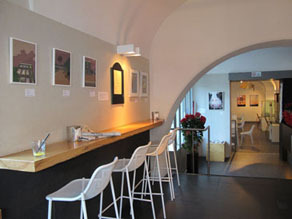 I've got some prints on display in the Mon Amour boutique in Brussels. You can get the Eurostar over there for £69 and have the chance to visit the Belgian comic museum and Hergé Museum as well as checking out some amazing comic murals in the streets! I entered the Random House Graphic Short Story Competition again this year with my piece "Nightwatching". It was mainly inspired by various office jobs I've done over the years. You can see some of the other entrants on the Comica site. 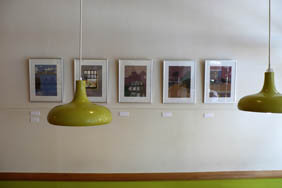 Three new images from the landscapes page on this site are available to buy at THE CURRENT SHOW. View to Sky, Peacock Close and Looking Back are inspired by walks around South London late at night. Issue 16 of Smoke is now out in the shops, see their site for list of stockists. Also available is my new zine Going to Town. You can find it in Orbital Comics where the old Photographers Gallery was located, or contact me to buy a copy direct. Cost is £2.50 plus post. I found out that one of my photos will be featured in the next edition of Smoke magazine. Smoke is published several times a year and showcases writing and photography relating to London. I'd recommend getting a copy if you have an interest in the stories, experiences and unusual things to be found in the city. I've got a new exhibition, curated by THE CURRENT SHOW, up at the Balthazar clothing boutique in Brussels! Balthazar have two shops in the city, stocking brands such as Paul Smith, New York Industrie and Comme des Garçons. My prints are on display in the Avenue Louise store, which was designed by architect Gonzague Hervy. So, if you are visiting the city, pop by and check the work out! So, been a while since the last update! The main news is that I've got some more work for sale on THE CURRENT SHOW's page. The images Jetty and In Through Window which you can see on my Narrative page are now available as giclée prints. I've also made some changes to the layout of the site - mainly adding some new images to the Narrative page and redesigning the homepage. Any suggestions about site design are very welcome. I recently submitted some drawings to a cool new site called Comics Roulette. The site lets you search through randomly chosen images by different comic artists. When you spot one you like, there is the option to visit that person's homepage and find out more about them. I think the site's creator is still looking for submissions, so get in touch if you'd like to see your work included. 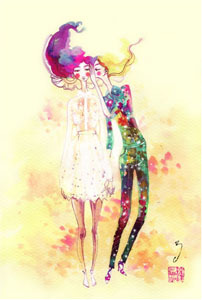 I was really happy to have some of my work featured on the Beautiful/Decay weblog a few days ago. B/D started out in Northern Virginia in 1996 as a photocopied zine. They now run the website, an artist's t-shirt label and also produce a book three times a year, showcasing the most exciting recent work from the creative world. Check their site for more details. I've got some work in a pop up show which opens this Friday and will run for a week. The drawings are from my recent travels around Germany and also a few new colour images based on London. There will be five other artists exhibiting and it should be a really good event! The location is 38 Friars Stile Road in Richmond, at the top of the hill. The nearest station is Richmond overground/underground. There will be a show featuring art from THE CURRENT SHOW online gallery, in the Vietnamese Caphe House in Bermondsey. Starts next Monday. 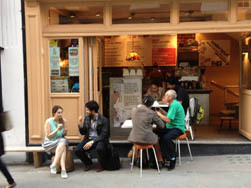 Pop down for a coffee and Vietnamese baguette! I've found out that the Cocoanut show will be on until the end of February at least, which is cool. They are serving nice Thai food at the pub now, so no excuse not to drop in! There are three prints of my location drawings up in a show at the Cocoanut Pub in Kingston. 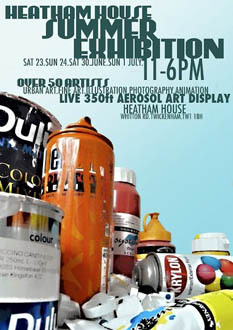 It will be on until Saturday or Sunday this week, so if you're in the area check them out! I've made a few changes to the layout of the site, hopefully it will load more quickly now. 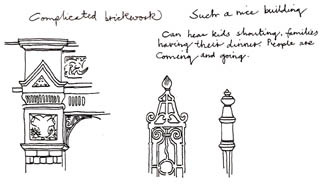 I've added another page of location drawings to the site. These are from a journey I did in November. I'm hoping to have a show of my favourites and also produce a book soon. So... this is my first update! Anyway, I recently did a design for Deep River Apartments' new album, Echo Marina. Please check his page out here to see it and listen to some of his music. 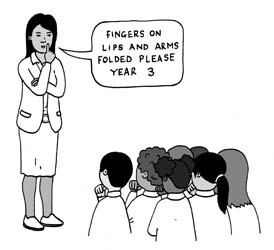 I also entered the 2009 Random House Graphic Short Story Competition, please see the link on my home page. You can see some of the other entries here. I found out a little while ago that my Horse book had been added to the University of Portsmouth's Zineopolis. Not sure where they bought their copy from, but I'm happy it's been added to the archive.